A powerful 6.0-litre Bentley W12 engine is mated to a dual-clutch eight-speed transmission. The new powertrain uses the latest engine management technology to produce 635 PS (626 bhp) and 900 Nm (664 lb.ft.) of torque, and accelerate to 100 km/h in 3.8 seconds (0-60 mph in 3.7 seconds), on to a top speed of 333 km/h (207 mph). The 20-way adjustable Comfort Seats set new industry standards in comfort and refinement. 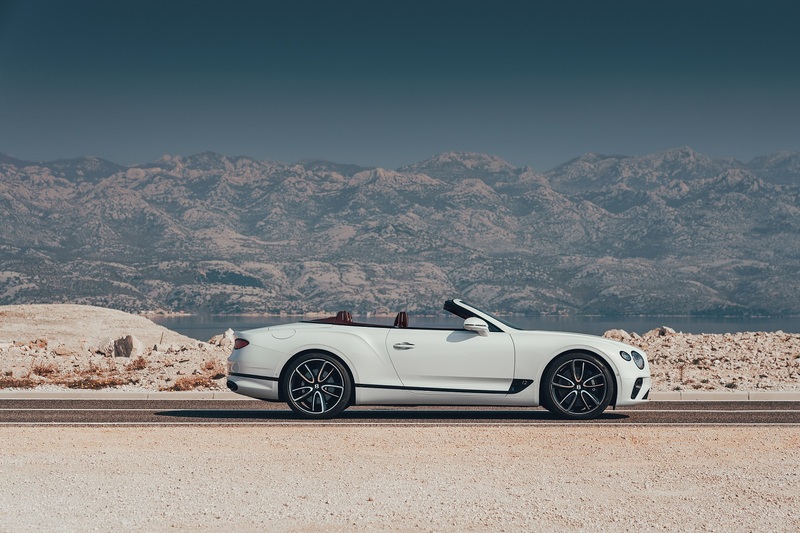 A choice of three audio systems is offered in the new Continental GT Convertible. The standard system features 10 speakers and 650 Watts, while a Bang & Olufsen 1,500 W, 16-speaker system with illuminated speaker grilles is available, benefiting from the first automotive application of the BeoSonic system – a new way for tone setting with a simple, intuitive one-touch user interface. Bentley’s largest-ever touchscreen, a 12.3” high-definition-quality digital MMI display is fitted on the console.